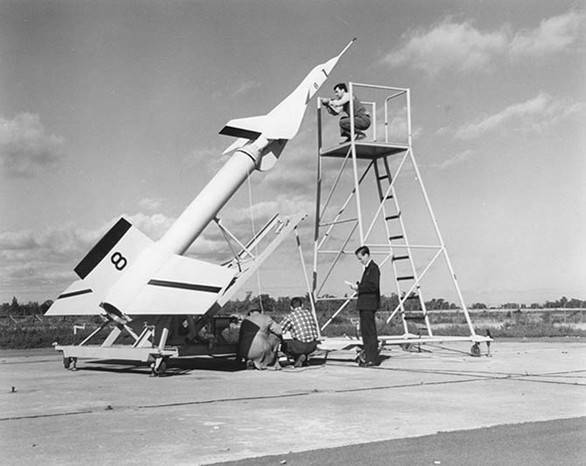 A new search mission will seek to locate nine Avro Arrow free flight models launched over Lake Ontario in a series of tests from 1954 to 1957. The missing models are one-eighth scale replicas of the famed Canadian flying jet, and were part of the final flight design tests done prior to the production of the Avro Canada CF-105 Arrow aircraft, often referred to as the Avro Arrow. The goal of the search is to discover the resting place of nine models, recover them and ultimately house them at the Canada Aviation and Space Museum in Ottawa and the National Air Force Museum of Canada in Trenton, Ontario. 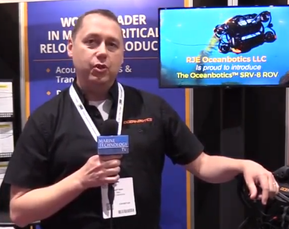 Later this month Kraken Sonar Inc. subsidiary Kraken Sonar Systems Inc. will deploy its ThunderFish autonomous underwater vehicle (AUV) and AquaPix synthetic aperture sonar (SAS) system in Lake Ontario to search for the Avro Arrow models. The search contract, awarded by OEX Recovery Group Incorporated, is a first for Kraken’s new "Robotics as a Service" offering. While contract terms between Kraken and OEX are confidential, the contract amount is less than C$500,000. The CF-105 Arrow performed incredibly well during in-flight tests, and many thought it would put Canada at the forefront of military aviation. The highly-advanced jet fighter and development program was cancelled in 1959 by the government of the day, causing more than 30,000 employees and subcontractors to lose their jobs. Many Avro engineers went on to work at Lockheed, Boeing and NASA, and others to Britain to work in the aerospace industry there. This is often cited as an example of Canadian “brain drain”. Additionally, when the program was cancelled, all materials related to the Avro Arrow were ordered destroyed, including six completed jet fighters, production tooling and all development related materials. The only known artifacts from the program remaining to be found are the free flight test models, which for more than 60 years have rested somewhere on the bottom of Lake Ontario. 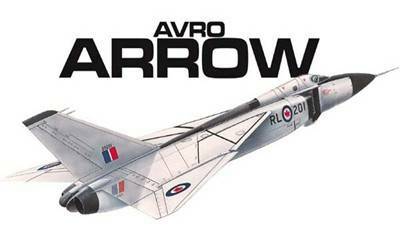 For Avro Arrow historians, the models are something of a holy grail, since they were the flying replicas of the actual aircraft and the last step from design testing prior to production of the actual flying jets. The free flight models were successively increased in sophistication, and were launched over Lake Ontario in a series of flights conducted between 1954 and 1957 to test the aerodynamic qualities of the aircraft design. The free flight models were attached to high-powered booster rockets and launched out over the lake from a military test site east of Toronto. After separating from the booster rockets the models flew at supersonic speeds. Their onboard sensors, revolutionary for the 1950s, transmitted flight data back to engineers on the ground. At the end of each flight the models lost velocity, crashed into the water and sank. In the past, privately funded missions have attempted to locate and recover the lost models, but all have failed due to inadequate funding, water depths, search area size and the amount of metal debris on the bottom. According to military records, more than 600 missiles were launched from the same site, which was also used as an artillery range in the 1930s. This summer's search for the Avro Arrow models can be likened to the hunt for Sir John Franklin's lost ships. The first vessel – the HMS Erebus – was discovered in September 2014 by a Canadian expedition team that included participation by Kraken engineers and its AquaPix SAS technology. However, the Arrow models are far smaller targets. While the full-size Arrow measured 24 meters long with a 15-meter wingspan, each test model was just 3 meters long with a wingspan of 2 meters. Like the hunt for Franklin's lost ships, the search for the Arrow models began with detailed analysis of historical information to narrow the search area as much as possible. In the Arrow's case, scientists, engineers and historians from the Osisko group, Kraken and the RCAF used historical research, the collection of archival material at CASM, interviews with former Avro employees and computer-aided trajectory and flight data modeling to develop the search grids. David Shea, Kraken's VP of Engineering said, "We are very pleased to receive the first contract to validate our Robotics-as-a-Service business model – to build, own, operate and maintain our own vertically integrated robotic systems. ThunderFish is a Kraken autonomous underwater vehicle, using Kraken's AquaPix sonar and leveraging other Kraken-owned underwater technologies including batteries, thrusters and artificial intelligence." Shea continued, "Our AquaPix MINSAS technology provides extremely high-resolution images and unparalleled area coverage rates in a compact, low power package. Onboard real-time processing enables on-the-fly beamforming and geo-referencing, which significantly reduces the overall processing timeline, a critical factor in these types of search and salvage applications." "AquaPix was a proven payload during the Franklin Expedition in 2014, operating onboard a Royal Canadian Navy AUV. We deployed the AUV in the morning, all processing occurred onboard the AUV in real-time, and after recovering the vehicle in the evening we immediately began reviewing the already-processed sonar images, with zero post processing required. Leveraging what we've learned from that experience, I can say with confidence that we have the right people using the right technology for this expedition." Traditional sonar systems have a range and resolution limited by the size and frequency of their acoustic array. Kraken said its AquaPix SAS technology provides an order of magnitude increase in range and resolution by using sophisticated software and signal processing to "synthesize" an array up to 25x longer than the real array. The AquaPix SAS is integrated into Kraken's ThunderFish AUV, a battery powered, unmanned, untethered submersible. ThunderFish is preprogrammed to survey a specific area each day. After deployment, it autonomously transits to the search area, dives to depth and surveys the area using the AquaPix SAS and other sensors. Upon mission completion, it returns to shore for recovery, data download and battery charging. John Burzynski, President and CEO of Osisko Mining Inc. and head of OEX Recovery Group Inc., stated, "As professional explorers in the mining business, we initiated this program about a year ago with the idea of bringing back a piece of lost Canadian history to the Canadian public. As individuals, as a company, as a group, and with our partners and our project participants in this search effort, we all have the same goal in mind: to find and return these beautiful pieces of Canadian technology to the public eye, during this anniversary year of our incredible country. Like Avro, our own corporate group was built on dreams and this project is a proud reminder of what we as Canadians have done, what we Canadians do, and what we Canadians can do." The search and recovery program is a Canada 150 collaborative effort spearheaded by Osisko group companies Osisko Mining Inc. and Osisko Gold Royalties Ltd., in collaboration with their financial partners at National Bank, the Bank of Montreal, Canaccord Genuity, Maxit Capital, Eight Capital and Northfield Capital; the Canada Aviation and Space Museum (CASM), Royal Canadian Air Force (RCAF), the Canadian Conservation Institute and Bennett Jones LLP. Support for this project is also being provided by the Canadian Coast Guard, the Royal Canadian Military Institute and Canada Company. Karl Kenny, Kraken President & CEO said, "During our 150th birthday, I can't think of a better example of how advanced Canadian ocean technology is being used to search and find advanced Canadian aerospace technology. 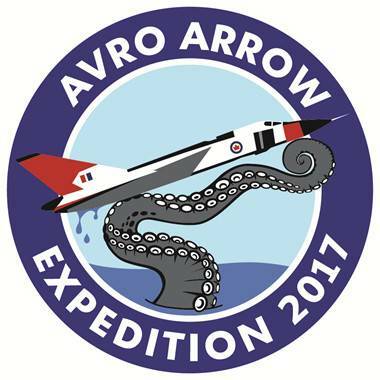 This expedition is sure to be nostalgic for the countless fans of the Avro Arrow, which became a symbol of world-class Canadian technology. Continuing in the tradition of the Arrow, the entire Kraken team is very proud to engineer and build world-class Canadian underwater robotics technology." Famed Canadian journalist June Callwood, who passed away in 2007, summed up the impact of the program cancellation in a January 1997 Maclean's magazine article: "The Arrow seems to have touched a dream of perfection that enthralls many, and its destruction is a kind of soul-theft," Callwood said. "It was the most beautiful plane I will ever see. Even parked on its stilt legs on the tarmac, it made your heart ache. When it lifted straight up into the sky, a slim white arrowhead, it was poetry." Callwood said the Arrow symbolized Canadian pride and confidence: "It's not that we weren't proud of Canada's audacity in building the world's best combat airplane, superior to anything developed in the United States or the USSR. My point is that the Arrow didn't seem a fluke. We thought it natural that Canadians would be among the best, if not the best, at anything we really tried to do."